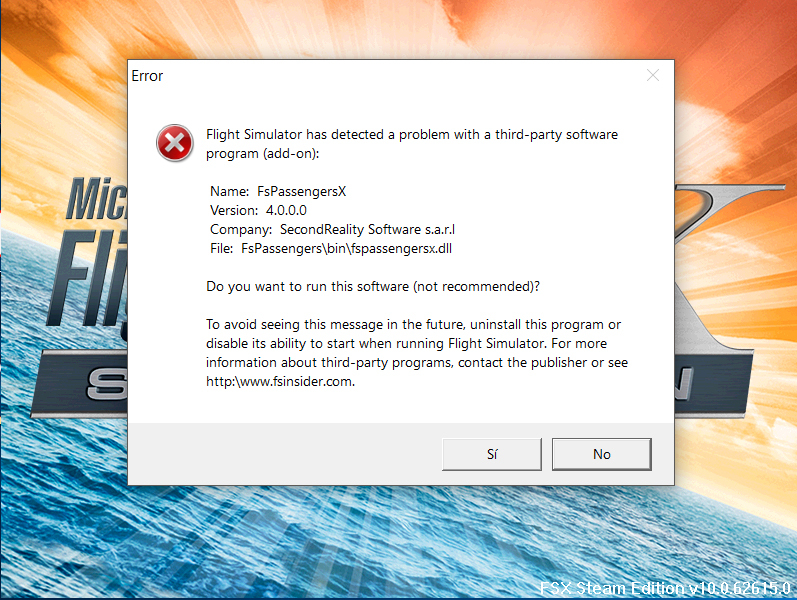 keep getting "FS has dectected a problem with..."
When you ran the installer, did you select the correct platform of FSX-SE instead of FSX? Also, this is not the forum to post for support reasons. As soon as you respond to this, I will move your thread to the FsP Support forum.